Communities that Care (CTC) develops and implements strategies which encourage healthy behavior and productiive interaction among youngsters and all members of the community. 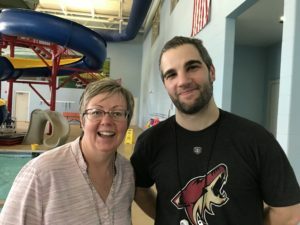 Our leader Rich Palazzo and his assistant Debi McDonald provide a SAFE​ ​environment where students develop positive social skills while playing and interacting with their peers. Professional staff provide ACADEMIC ​assistance every Monday thru Thursday. Homework completion is a big part of the program. Community partners provide ongoing ENRICHING ​activities throughout the school semester. Highlights for Children, the YMCA, The Wayne Memorial Health System and Lacawac Sanctuary. All 3rd-5th Grade Students at Lakeside Elementary are welcome to apply. We meet every day from 3-5:30PM when school is in session. We offer scholarships so no student is denied and the late BUS ​provides transportation home. Honesdale Communities That Care is a 501(c)(3) non profit afterschool enrichment program that has been operating since 1995. Ready to join us! Get your Application form here. CTC encourages middle and high school students in the Wayne Highlands School District to volunteer at our program. Volunteers frequently help CTC students with homework, play games/sports with the CTC students, help CTC students with arts & crafts, lead various activities, and help CTC staff wherever possible. Volunteering at CTC is a great way to gain experience working with younger children as well as gain volunteer hours! All middle and high school volunteers must be in good academic and disciplinary standing with their school to volunteer at CTC. Adult community members looking to volunteer at CTC are also welcome. Proper clearances must be obtained prior to volunteering at CTC. Information concerning child clearances can be found here. If you are an older student or community member looking to volunteer at CTC, please contact Richard Palazzo at 570-229- 0055 or honesdalectc@gmail.com . Communities That Care shall develop and implement strategies which encourage healthy behavior and productive interaction among youngsters and all members of our community; which raise the consciousness of the community to the importance of positive roles and behaviors of adults from whom our young learn patterns of behavior and which seek to divert youngsters from more restrictive and costly rehabilitative measures or alternatives. CTC also has two junior board members who are students from Honesdale High School. CTC is funded through various donations and grants from differing agencies and foundations, as well donations from community members. A small portion of CTC funding comes from tuition paid by the parents/guardians of CTC students. CTC is always accepting donations which will help us provide scholarships for needy families to attend CTC, as well expand program offerings. If you are interested in donating to CTC and need more information please contact Richard Palazzo at 570-229- 0055 or honesdalectc@gmail.com.